Bold rich aromas of peach, apricot, and citrus oil to white blossom, sweet hay, and white pepper complexity; then to green olive and sea spray freshness. The vibrant grapefruit juice, zest, and pith entry steadily evolves into deep orange marmalade fruit richness. While tightly coiled, the wine displays obvious density and volume. Viscosity builds and flavors expand as layers and texture develop. 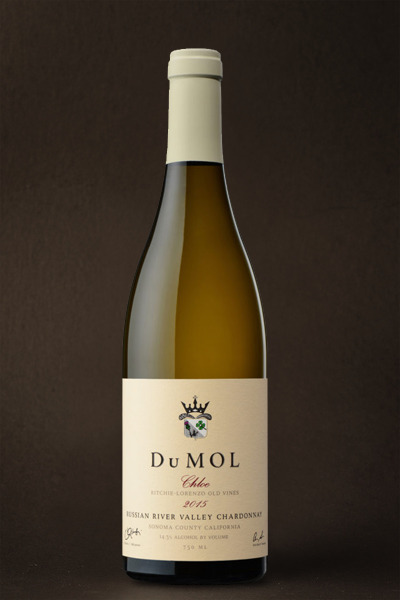 Intense, vintage-driven acidity lifts and extends the palate through to a lingering tangerine and mineral finish. The richest of our 2015 Chardonnay bottlings and the wine with the most volume and breadth. There’s plenty of acidity and structure present but it’s buried under the wine's impressive depth and density in typical Chloe fashion. These wonderful low-yielding old vines naturally provide unmatched depth of flavor complexity, power, and concentration that remain remarkable, consistent, and classic. On opening, one can sense the wine’s flavors are held slightly in reserve, ready to spring forward. It takes some time in the glass for the wine's true beauty and sense of drama to unfold. There's always some mineral, flinty freshness present to balance out this power, and true to the vintage, the wine's zesty acidity has a strong balancing effect. But the real story of the wine is its relentless building fruit richness and the powerful deep echoing flavor that resonates long after each sip. Drink between 2018 and 2022.